Words of wisdom from the Roman Emperor and Stoic philosopher, Marcus Aurelius, who knew something about the inexorability of nature. Our search for the Perfect Pinot has now taken us to the Willamette Valley in Oregon, a region that is increasingly held in high esteem by lovers of that temperamental grape. So as not to hold you in suspense, we did not find perfection, but did gain a lesson in vintage variation. Many wineries are still pouring their 2011 vintage, a notoriously cool year in which the grapes struggled to ripen. The result is austere, highly acidic wines, lacking in fruit expression even from the best wineries. The winemakers that succeeded with that vintage were able to extract a seam of bracing minerality—flavors of slate or wet stone—that compensated for the lack of fruit and made wines of some interest. 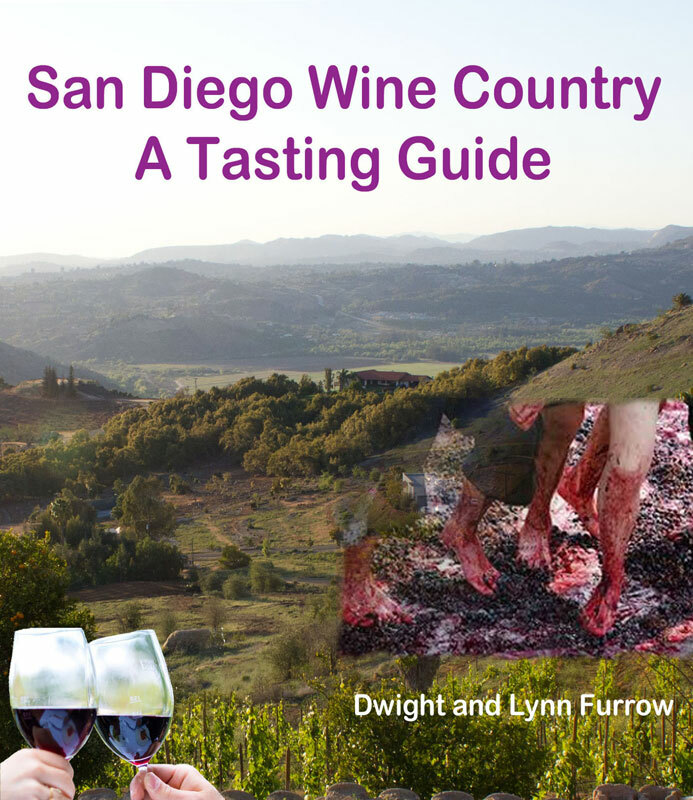 Bryn Mawr’s Krista’s Block 2011 and Trisaetum’s 2011 Coast Range Estate were among the best of the 2011 pinots that we discovered, but too often we found ourselves pouring expensive wines in the dump bucket. The word among the locals is that these wines, despite their flaws, will age well. No doubt they have the acidity needed for long-term ageing and they will gain interesting aroma notes, but ageing will not add fruit that is not there to begin with. Vintners in the land of Pinot Noir, a grape which doesn’t like hot weather but requires sufficient sun to ripen, always run the risk of an unruly nature. Nothing to do but grin and bear it. Happily, the 2012’s have been released, a very good year that is more indicative of the best the Willamette Valley has to offer. And the best is very good indeed although they have a way to go to supplant Burgundy as the go-to region for Pinot Noir. 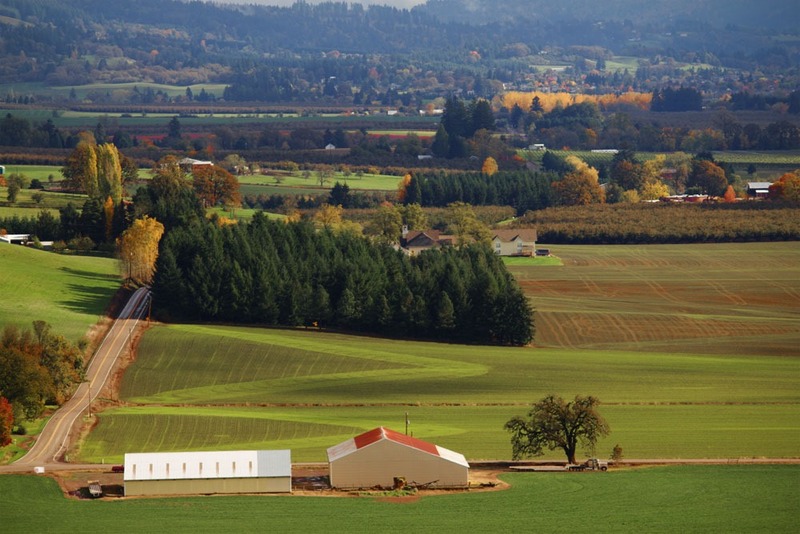 Although grown throughout the state, it is really the Northern Willamette Valley that is responsible for Oregon’s reputation for Pinot Noir—the vast majority of Oregon Pinot Noir is grown there. Since they share some climate characteristics with Burgundy, the Willamette Valley has gone “all-in” on the Pinot bandwagon and with some success. At their best, Willamette pinots have a strong acid backbone with more fresh fruit expression than is typical of Burgundy, but less concentration, lower alcohol, and less tannin than California Pinot Noir. Although Oregon pinots are said to be “Burgundian” in style, I’ve found this to be misleading. The earth and barnyard characteristics that Burgundian pinots often exhibit, even when young, are largely absent from the Oregon pinots we tasted. Fresh but supple, nuanced red fruit that allows minerality to show, and strong acidity, are the defining characteristics. Among the standouts in the “Perfect Pinot” sweepstakes for 2012 were Bergstrom’s Bergstrom Vineyard Pinot Noir, Trisaetum’s 2012 Estate Reserve Pinot Noir, and Penner Ash’s Pas De Nom. But a special place is reserved for the one winery we found that strives for those mushroom and forest floor flavors that pinot hounds adore. A small, non-descript storefront in Dayton houses Seufert Winery, where we found enough earth to form a mountain. Winemaker/owner Jim Seufert holds onto his wines in the cellar until they’ve developed the flavor profile he seeks—an expensive proposition for a small operation. But it is clearly a labor of love. He is pouring the 2009 and I’m tempted to say it’s heaven in a glass but it’s far too earth-bound to be out of this world. 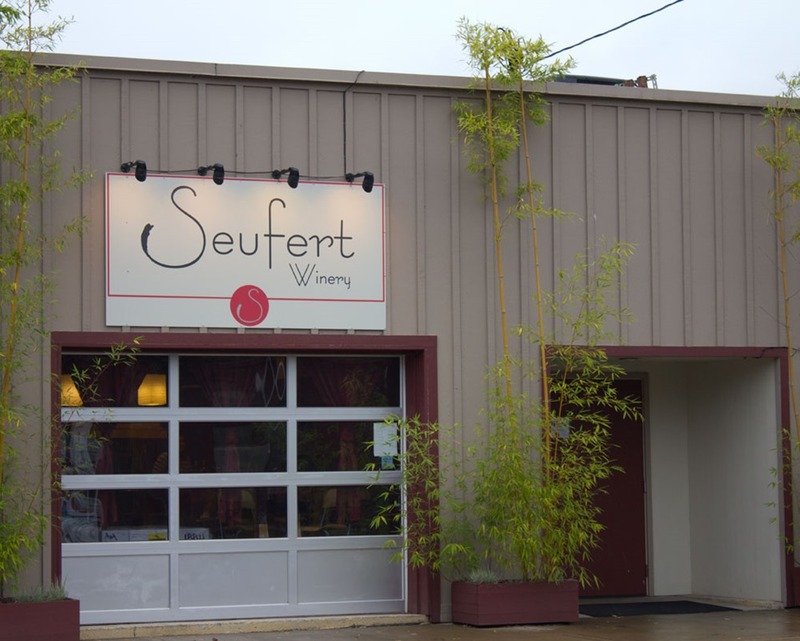 Seufert stands out as seeking a different expression of Pinot Noir. Despite all this focus on Pinot Noir we were knocked out by three non-pinot wine experiences. Hands down, the very best wine we tasted all week was Bergstrom’s 2012 Sigrid Chardonnay (See my full review here) This is indeed full-on Burgundian in style and is the most enjoyable Chardonnay I have encountered in a long while, perhaps since our visit to Burgundy. Riesling is a minor grape here although plantings are increasing. But Trisaetum’s 2013 dry Riesling (1 % residual sugar) had that bracing, stony minerality that one seldom finds in American versions of this grape. Perhaps it was the fine art hanging on the tasting room walls, all by winemaker/owner James Frey, that put me in the mood for his wine but this is a stellar effort. And finally, Argyle’s line up of sparkling wines were thoroughly impressive. Argyle has been making sparkling wine here for 20 years, and their reputation is well established. Their wines have been served at the White House for every President since Bush I. It is thus a bit of a puzzle why more wineries in this region are not making sparkling wine—they obviously have the quality base wines needed to succeed. These examples suggest that the Willamette Valley has the potential to develop a wider range of varietals to supplement their successful commitment to Pinot Noir. Successful wine tourism is not made by wine alone. 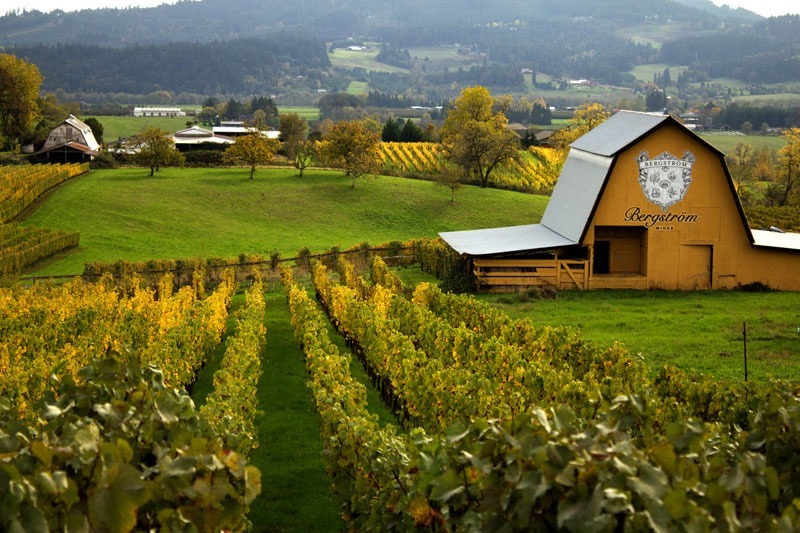 The beauty of wine is enhanced when supported by lovey scenery, good restaurants, and charming people, and the Willamette Valley has an abundance of each. A general agricultural community that grows a lot more than grapes, this valley is the paradigm of bucolic charm, with its quaint mid-sized farms, inviting small towns, and a commitment to fresh, locally-grown foods sold in farmer’s markets throughout the region. The valley supplies 95% of the hazelnuts produced in the U.S., and the gently swaying groves of hazelnut trees are as characteristic of the region as the vineyards. As for dining we were impressed with Subterra’s way with veal and lamb. Located in Newberg, this is affordable fine dining at its best with small plates to supplement the entrees and a good wine list full of local selections. But the prize for locally-sourced goodness goes to the Joel Palmer House in Dayton. Foraging for wild mushrooms is a favorite pastime of the locals and Chef Czarnecki offers a tasting menu where each dish includes some foraged fungal fun. From the mushroom soup, to the mushroom risotto, to the beef stroganoff, and finally the candy cap mushroom crème brulee, each was expertly rendered with the constant mushroom presence kept in exquisite balance with the other ingredients. I left having fulfilled my monthly mushroom dosage. And of course it was all accompanied by that Seufert 2009 earth bomb. It’s no wonder some people think I’m a potted plant. And for lunch head to the Red Hills Market. They serve a variety of sandwiches, pizzas, homemade soup, a long list of cheeses, and lots of local artisan food products. Don’t miss the roasted hazelnuts with bacon and rosemary. One less than enthusiastic note. Although the Willamette Valley has a reputation for small, family-run wineries many of the wineries have become quite large and their tasting rooms are set up to handle steady traffic. They were for the most part staffed with knowledgeable employees but, unless we made an appointment, we encountered no winemakers and only occasionally a proprietor. Granted we were travelling in the off-season well after harvest when winery operations were beginning to slow, but we missed the personal touch which is the best part of the wine-tasting experience. At any rate, the Willamette Valley has fully established itself as an important, world-class wine region; if you like Pinot Noir it is a must-taste destination.